China. Minor Han (Shu-Han) Dynasty. ca. AD 221 to 265. 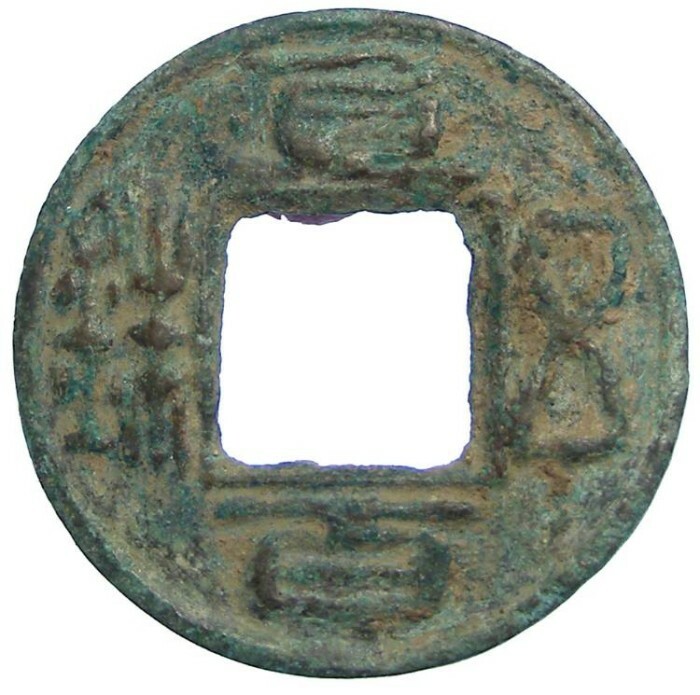 Date : There were two Emperors of the Minor Han Dynasty, and it is likely both issued this type. These can only be dated to the period of the entire Dynasty from AD 221 to 265..
Denomination : Bronze 100 Wu Shu (500 shu). Size : 25.2 mm. Weight : 3.05 grams. Obverse : "CHIH-PAI WU SHU" meaning "value 100 wu shu"